Custom Pet Portrait - "Gunner"
Every maker has a story. Be a part of Ace Artwork's story by placing an order, leaving a review, and seeing your review appear here. The "Gunner" Portrait (8x10, Watercolor) is one of the many examples of the artwork I produce. 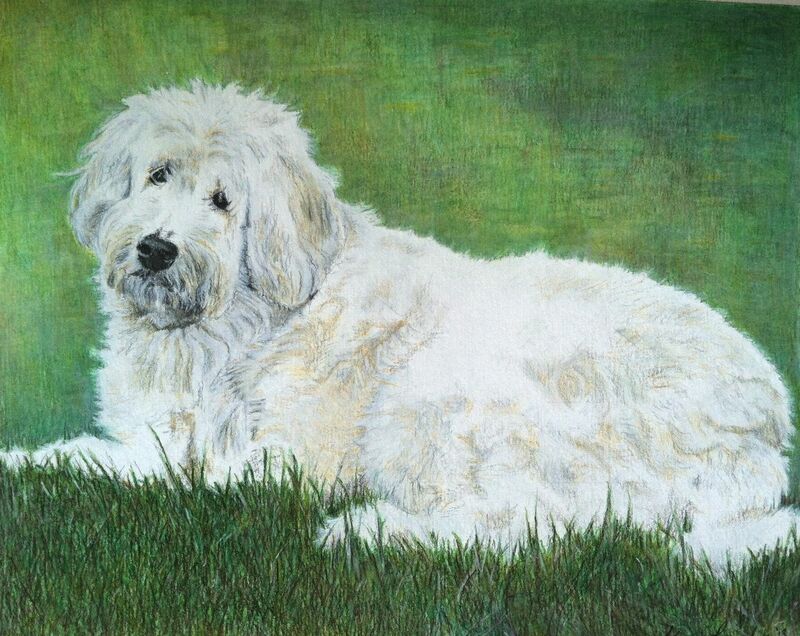 I specialize in creating highly detailed pet portraits in graphite pencil, colored pencil, watercolor, charcoal, and pastels. Send me your favorite photo and I will create a unique, one of a kind portrait, all delivered safely to your door! My joy in creating portraits is accentuating the unparalleled personality and unique characteristics of each animal I reproduce: the authentic minute details personalize a portrait. I work from the photos you provide to develop each commissioned portrait.